It's the final countdown! 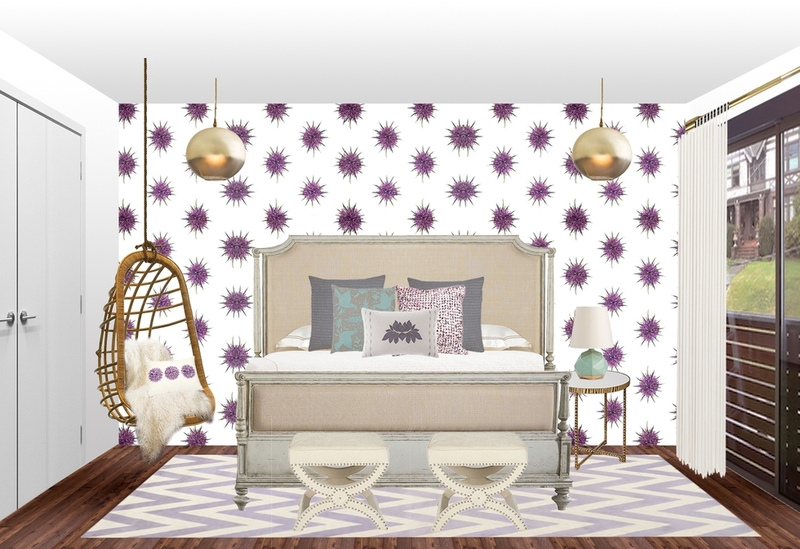 We're one day away from debuting our designs in the Seattle Showhouse hosted by ATGStores.com. We’re just about ready to throw open the doors and reveal the fruits of all the intense virtual designing that’s been going on behind the scenes. But, first, we wanted you to see the design boards firsthand and get a feel for the overall design process. Since the process was carried out 100% virtually (just as all Decorist design projects are started), the designers were given critical client input, before photos and room measurements, and set out to furnish eight stunning rooms all sourced online at ATGStores.com. Check out these design board “befores” and check back for real-life “after” photos that we’ll post during and directly following the event. 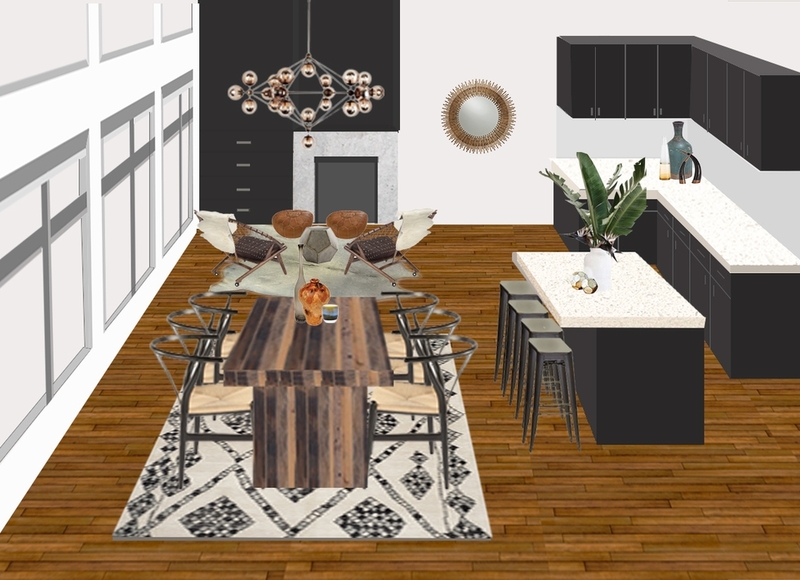 A study in neutrals and shape was the inspiration behind the design for the open living room and dining space. As a dual-function space, it already commands attention so making it subtle yet memorable was designer Brian Paquette’s goal. The juxtaposition of furniture styles and lines was considered more than overt color, allowing the client to not only enjoy the space but take in the view from the large windows. Mid-century mixed with other styles reference a life well traveled and considered. The family room design proves that cozy doesn’t have to mean compromising on style. The aim was to introduce texture to soften the room’s boxy architecture and was achieved by wrapping the walls in grasscloth and layering accent rugs. To add interest, blush, rose and charcoal were used in smaller accents like pillows, art, and light fixtures. A pair of white plaster mirrors soften the room's hard angles and lend an edge with their matte texture. The goal for this space was to create an eclectic, lived-in feel for our homeowners. We wanted to keep the palette fairly neutral given the prime view of the downtown Seattle waterfront and other interior spaces. We added character to the neutral palette by layering lots of texture and fearlessly mixing metals. Offices have such strong functional needs that it’s easy to overlook the style element. This office proves it’s easy to have both. Intentionally a bit dramatic, the thought was to set a playful, warm tone for the rest of the house and incorporate interesting elements that might be too much in a living room or bedroom where the client spends more time. The neutral color palette allows Brian Paquette’s funky geometric wallpaper to be the single bold element. The nook, which could have easily been overlooked, is intended to serve as a makeshift library or stylish spot to lace up before heading out. The kitchen has an open, modern feel that naturally lends itself to the casual glam look. Designer Ashley Redmond loves the juxtaposition of the showstopping chandelier over the rustic table, and likes that the hoop chairs, with their interesting texture that softens the space, are an unexpected choice in front of the fireplace. She chose a graphic shag to go under the dining table to anchor the eating area and a modern “orb” light fixture adds just the right amount of glam. The goal with the space was to create a room that would not only satisfy a 15 year-old boy’s tastes but that’s well designed and full of character. Designer Melissa Schenck opted for an industrial rustic vibe and Sherwin-Williams Lazy Grey on the walls to mirror the overcast Seattle sky. An upholstered headboard juxtaposed with a modern lounge chair made of reclaimed wood and metal gives the space a warm, masculine sensibility. Wooden oars and the throwback Crosley turntable add a personalized touch. The goal was to transform the space into a place for a tween girl to hang out with friends, study, and be inspired. Wood and whimsical accents like wallpaper and accessories add color and texture. A hanging Rattan chair keeps the overall look modern, and a chic French linen-upholstered bed is a classic. Inspiring word art reminds her that anything is possible, and the modern desk and lots of framed photos make this room her haven now and throughout her teen years. Because of the modernity of this house, designer Alexa Hampton gravitated toward clean lines, a palpable sense of comfort, and a tonal neutral palette. For the walls and textiles, she chose an assortment of gray-patterned pieces that reflect her passion for geometry and contrast. There is a famous story of the artist JMW Turner entering a Royal Academy exhibition and painting a single daub of red in the middle of his seascape, in effect, turning it into a masterpiece. Alexa’s inspired daubs of red can be found in unexpected places throughout the room. If you're in the Seattle area, join us on January 30th at 167 Prospect Street for your own private tour of the Seattle Showhouse. 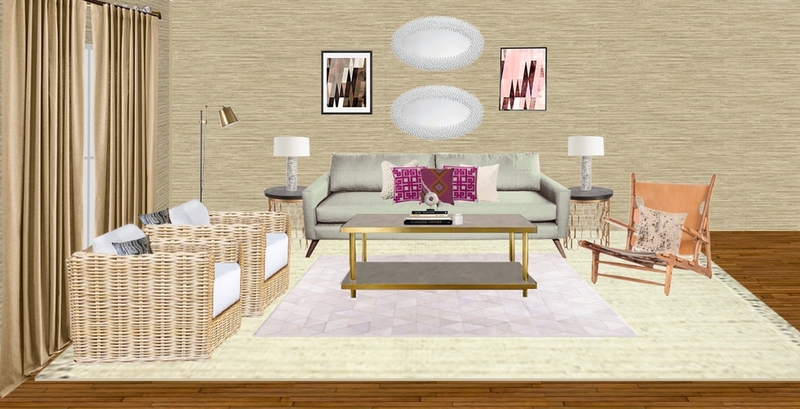 Get inspired and start your own online interior design project with Decorist today! Learn more here!